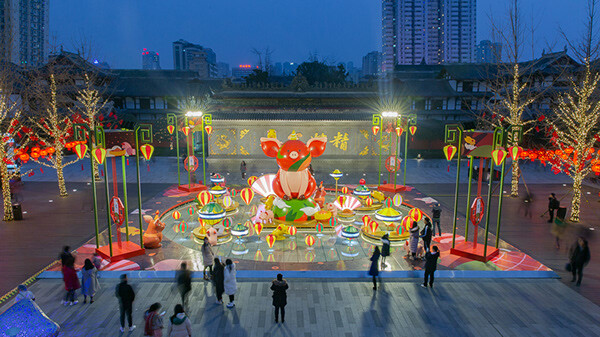 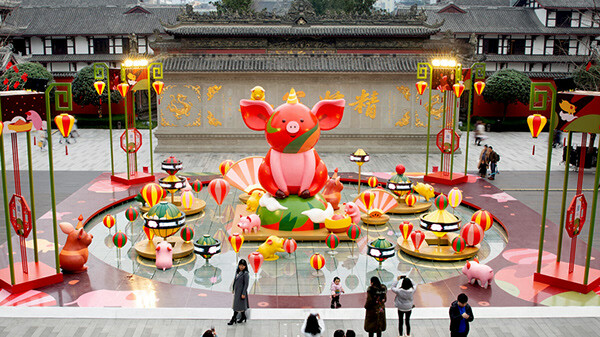 The celebrations of the Year Of The Pig took place at the fountain plaza where the main installation was set. 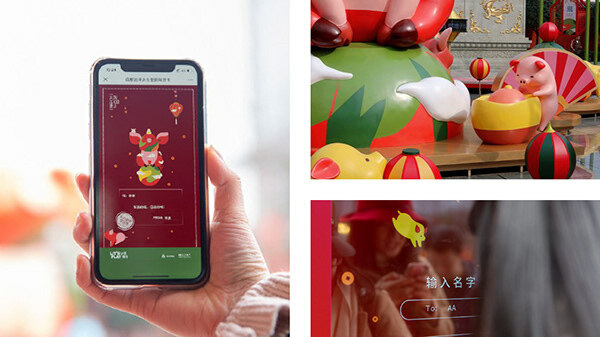 The illustration campaign spread from mobile app games and outdoor advertising to packaging and huge installations. 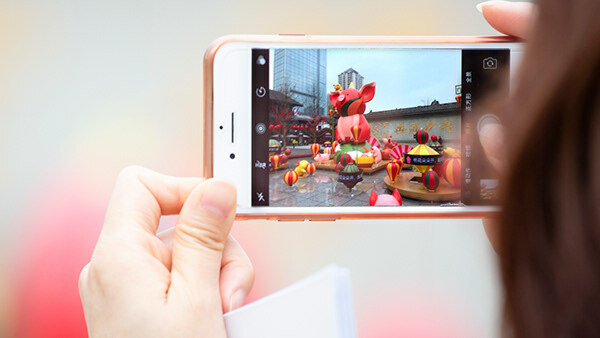 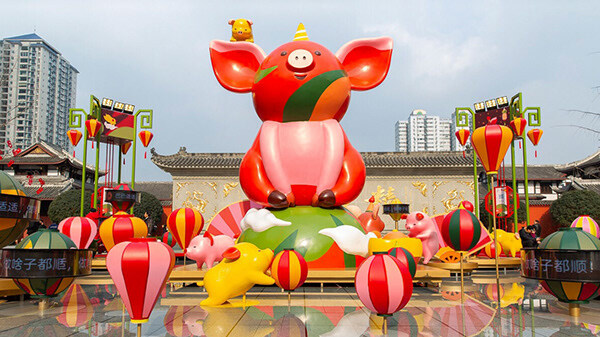 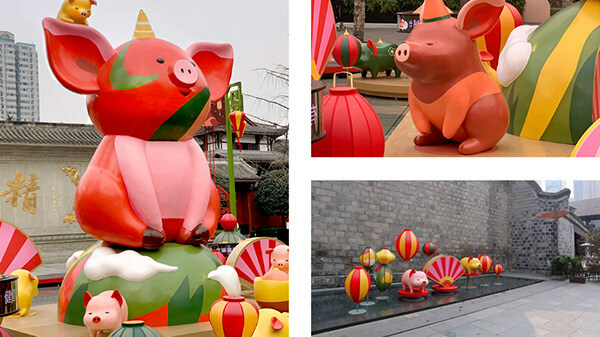 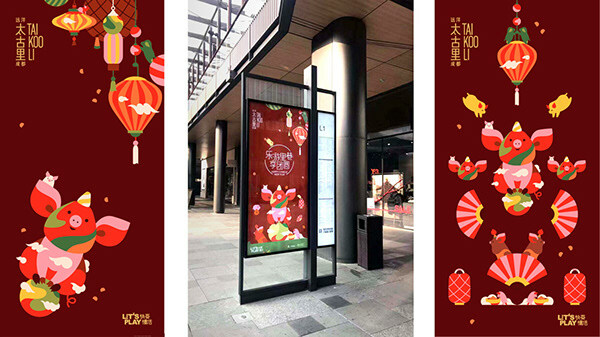 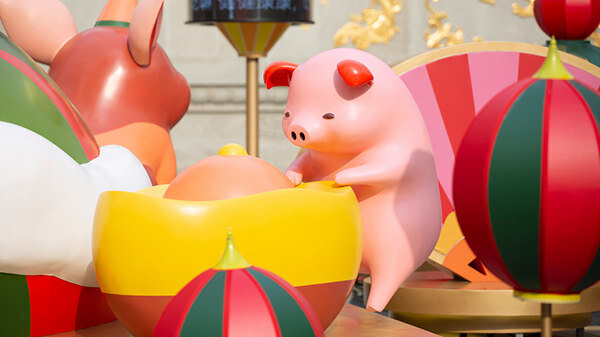 Key visual illustrations for the Chinese New Year campaign for Taikoo Li - an outdoor shopping mall in Chengdu, China The celebrations of the Year Of The Pig took place at the fountain plaza where the main installation was set. 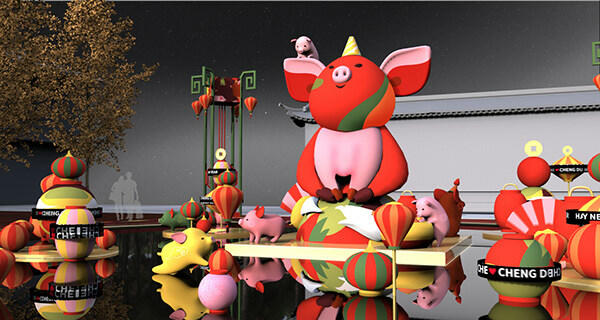 The illustration campaign spread from mobile app games and outdoor advertising to packaging and huge installations.